Pin-up: what is that? : Retro-swimsuits: Hello, summer! 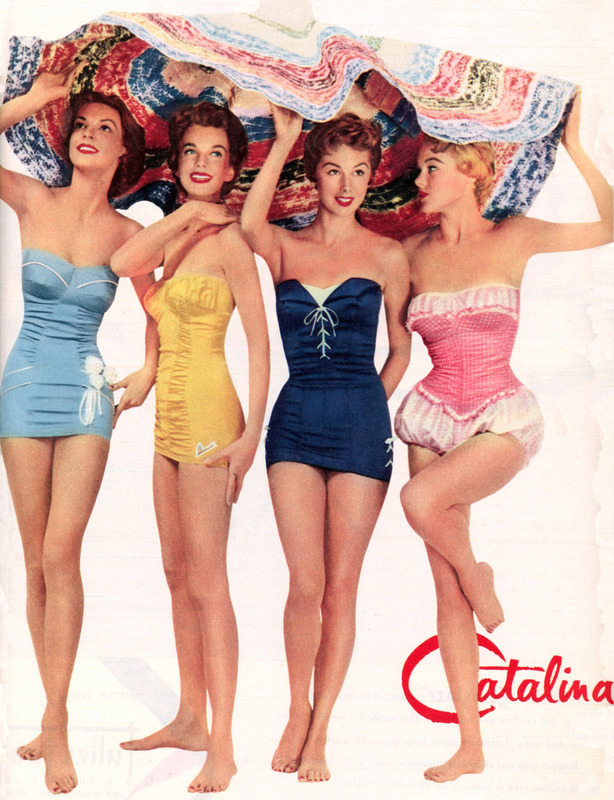 Hope you`ll like this information about the history of retro-swimsuits! In the very beginning of the century so called “bathing clothes” were just that – clothes! Swimming dresses were made of lighter fabric than traditional dresses, but they still had full skirts, and even stockings! Definitely not the most fashionable pieces, and not for swimming! Portland Knitting Company was founded by Carl Jantzen, Roy Zehntbauer, and John Zehntbauer in 1910. They began offering “swimsuits” to their regular customers. A big selling point for these early suits, of course, was that you could actually swim. “Jantzens” became highly popular thanks to the fit. The company officially changed its name to Jantzen Knitting Mills in 1918. 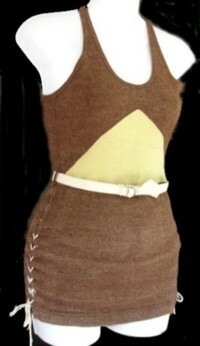 Swimwear in the 1920s had a look similar to that of a mini-dress, often referred to as a maillot. Bathing caps made from latex rubber completed the look! By the 1930s, designers were looking for ways to improve the maillot. Elsa Schiaparelli added swimsuits to her collection in 1928, but brought them a step further when she introduced the backless maillot. The suit also featured a patented, invisible bra to enhance a woman’s shape. These improvements in style and function helped cultivate the early glamour of bathing beauties. 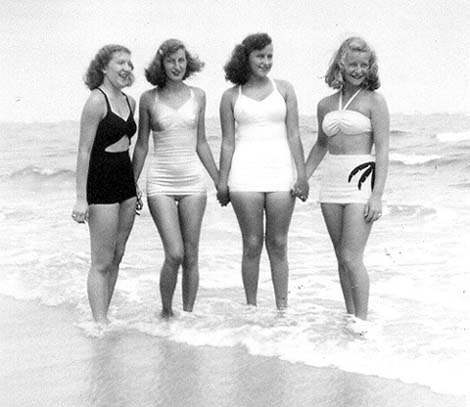 1940s swimsuits came in both one-piece and two-piece varieties. Featuring flattering sweetheart and square necklines up top paired with high-waisted shorts below, these suits were perfect for fun in the sun! Suits of this era also featured strategic cut-outs, as manufacturers had limited resources during wartime. I don`t want to go further, just because that is the period that I`m specialized it :) That is why that`s it! Hope you liked this historical review on the style and the development of the swimsuit!